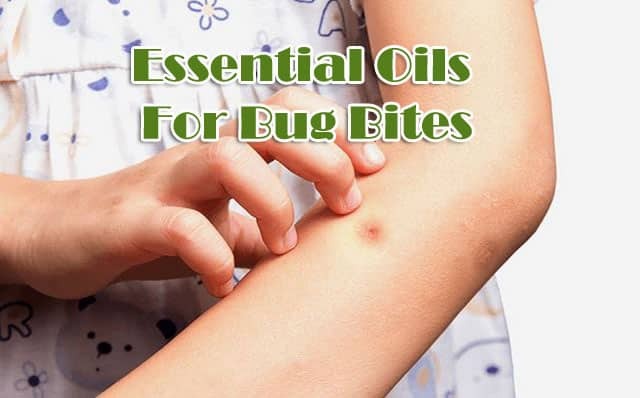 Essential oils for bug bites are increasingly popular with their great benefits. It is useful for a variety of health problems ranging from relaxing the body to improve digestion. However, there are other benefits that are rarely known, this is treating bug bites. There are some essential oils that can help you to stay away from insects that want to bite. With these oils you will be free from bug disturbance when walking in garden or yard. During the summer, many bugs come out and they often disturb us. The most common pests are ticks, chiggers, mosquitoes, bees and horse flies. In addition to itching, their bites also cause discomfort for days. Now, look at how to use essential oil for bug bites. After this, we’ll look further at what a powerful essential oils for bug bite and get rid of the discomfort due to these bugs bites. Dilute before use: Many essential oils are irritating, so it needs to be dissolved with other oils such as coconut or olive oil for skin safety. Some types of carrier oil that you can try as a couple for essential oils are jojoba oil, coconut oil, and olive oil. Carrier oils have the benefit of nourishing the skin, while essential oils are useful for treating bug bites. Before using essential oils, note the label on the side of the bottle. What is the size of the mixture so it is not irritating, and safe in use. The use of essential oils should be done directly when you are bitten by mosquitoes. Use this oil every two hours, or as you needs. Lavender oil is very popular with its wonderful benefits for soothing and relaxing. Of course, its ability is undoubtedly when used to calm insect bites. Its use is very easy, you just need to dilute with a little water and can immediately rub in place of insect bites or on your hand to prevent mosquito bites. The eucalyptus oil is great for solving problems related to bug bites. The eucalyptus oil was first used by Australian aborigines, they used it on scratches, bug bites, and burns. Then, they see the results so astounding, and some later become popular until now many people use eucalyptus oil to treat insect bites. Furthermore, the essential oil for treating bug bites is tea tree oil. This oil is very famous for substances that are able to keep skin and immune. Look for pure oil to get many benefits, avoid using fake tea tree oil because it does not provide the benefits as mentioned. Fake tea oil is mixed with chemicals so it does not have a benefit. Even some oils can aggravate skin problems, not cure. However, peppermint oil also has the benefit of treating insect bites. dissolve the peppermint oil with olive oil and apply directly to the skin that bites the bug. To be safe, dissolve in accordance with the instructions on the oil bottle. Rosemary oil also powerful to repel insects, especially the many wandering in the summer. For better results, you can dilute rosemary oil with other essential oils such as peppermint oil, lavender oil, or tea tree oil. Basil is famous for its ability to overcome various digestive and respiratory problems, so it is very well used in overcoming sinus congestion. Nevertheless, this oil also powerful to treat bug bites. Thus, its famous as one of the essential oils for bug bites. Before using on a bug bite, dissolve it appropriately to reduce irritation to thin skin, especially if you use it on the face area. Thyme is an antiseptic-containing oil, thanks to a chemical called thymol. Its usefulness is enormous to support and soothe insect bites and prevent infection after bites. Combine with eucalyptus oil to make the results more pronounced.